What Do Hiring Managers Value Most in Your Cover Letter? 1 What Do Hiring Managers Value Most in Your Cover Letter? 1 Start with your previous experience and accomplishments. Any job seekers feel the pressure to impress their future employer and know that any potential mistake in their job application could result in ending up with . 18% employers value a cover letter, especially if it is very creative or impressive. The cover letter allows the job applicant to express and differentiate themselves in ways that they cannot do with their resume or other portion of their job application. Given the importance of cover letters, the following information will guide you how to start a cover letter in the best way possible to catch the attention of the hiring manager. The following list represents the results from a 2010 survey which asked employers what they looked for the most in cover letters. 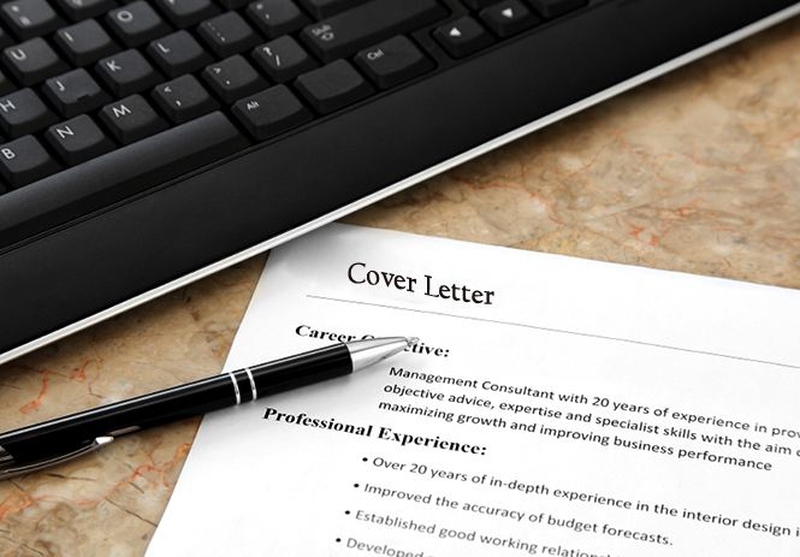 How to start a cover letter can be some kind of tricky for many job seekers. Below we listed 10 most impressive ways to start a a cover letter that may help you get a job or interview. Start with your previous experience and accomplishments. How to start: Write a cover letter with words stating your previous experience and accomplishments can be impressive for recruiters. Your last job title and notable accomplishments can show your capability of the position. Example: As the Director of Marketing at Acme Industries, I oversaw all online and offline marketing efforts of a company with over 300 employees and an annual revenue stream of over $45 million. Managing a marketing budget of over $1.2 million per year, I expanded into international markets through use of social media, TV, and print advertising. This led to company growth that exceeded 24% per year for each of the four years I was the Director of Marketing. How to start: Start your cover letter with keywords that can show you are an ideal fit for the position. If you don't know the keywords, get back to the job description and pick out the most essential words, and apply them into your cover letter. Example: I am a seasoned corporate attorney with extensive experience in corporate litigation such as patent disputes, breach of contract actions, and 10b-5 enforcement actions by the SEC. I also have over 10 years of experience in mergers and acquisitions. How to start: Clarify your qualifications corresponding to the job description and hiring needs, and this can keep the hiring manager reading. Example: I am well experienced in defending companies from SEC enforcement actions. I have successfully defended corporations from fines and negotiated favorable settlements where the defendant did not have to admit any wrongdoing. Given my expertise in 10b-5 enforcement actions, I can also provide compliance advice to avoid SEC or other regulatory actions concerning securities trading. How to start: Recruiters or employers letters love numbers, especially those that quantify your accomplishments. Use the cover letter introduction to further illustrate the accomplishments shown in your resume. In this way, your resume and cover letter can complement each other. Example: As the regional manager of insurance claims in 2012, I oversaw 85 property adjusters spanning five states and managed over 1,500 property damage claims to completion while staying within my department budget. This is why I know I am well qualified for the position of Regional Supervisor of Casualty Claims. How to start: If not done properly, it can , but when used in the right situation, a quote can add extra attention and understanding to your cover letter. When choosing a quote, avoid something controversial, but that can effectively relate your professional goals and experiences. After you state the quote, explain how it further explains why you are the ideal fit for the job opening. Example: T.E. Lawrence once said, " I believe that much can be accomplished when one ignores the to see a project through to its completion, no matter what it takes. How to start: Telling a mini anecdote about you in the cover letter intro. This allows you to a part of your personality to your future employer. Hiring managers also want to find someone who will fit into the company’s culture. Example: I love watching college sports – the loyalty, enthusiasm, and school spirit of the athletes is admirable. The fact that the athletes play for pride, not money, is something I have always admired and is why I would be a great fit as a field consultant for Acme Environmental Services Group, whose goal is to protect the environment, not increase shareholder value. How to start: Hiring managers want to know you're committed to your career path and that you will be passionate and motivated for the job they are hiring for. Example: Becoming an aeronautical engineer is something I have wanted ever since I was little. I began with building and flying toy rockets in elementary school and took the entire advanced math, astronomy and science classes I could ever since middle school. In my spare time I design picosats that represent the future of space technology and exploration. How to start: When choosing how to start a cover letter, use a tone to reflect an attitude that you have already been hired. Imagine you have just been asked by the Chief Operating Officer why you decided to apply for a job at her company. Example: I have been looking for a company where I could utilize my experience as a musician and public relations executive. I know that in working in the public relations department at the Chicago Symphony Orchestra I will be able to blend these skills and expand the musical influence of such a great organization. How to start: When applying for a job, concision is important. A statement will come across as more powerful when made in fewer rather than more words. Hiring managers often just skim resumes and cover letters, so keeping a cover letter introduction under 160 characters is a worthy goal to shoot for. Example: Economics, functionality, and simplicity drive my architectural designs. I will bring the concept of function over form to your firm, saving you money. How to start: Before you try a more creative approach to the cover letter intro, please do research about the company ahead of time. Learn everything you possible can: who will read your cover letter, what kind of culture the company has, and whether those that read the cover letter will appreciate humor in a cover letter. If they do, you can get bonus points for your initiative and creativity. If not, use a more formal approach or don’t expect to be called in for a follow up interview. Example: Your job posting states that your company seeks a public relations senior account executive that can market and bring in new business, not just keep the current clients happy. Sounds like you need someone that can light a fire under the rear ends of your employees and that job should fall to me. After all, my name is Mr. Fire.